As an academic specializing in Canadian social policy, disability studies and public administration, the legislation and proposed regulations for the monitoring of medical assistance in dying are of great interest and concern to me. Over my career, I have studied and written on many aspects of regulation and regulatory governance and democratic politics, from assisted human reproduction and biotechnology, to public morality, and law and order. Few have caught my attention as this law and draft regulations on medical assistance in dying. When thinking about laws and regulations, we often hear or read about the expression “red tape”. Historically, red tape referred to the colour of the tape used to bind files and folders of statutes. This could simply mean that all laws and rules are red tape. In our contemporary times, the term red tape is a form of political discourse, a specific way people talk about excessive rules and controls either in a piece of legislation or in the regulations, procedures and paperwork involved. It links to concepts of unreasonable or undue costs of compliance to a set of public standards and obligations. A fundamental problem with the draft monitoring of medial assistance in dying regulations, published in December 2017, is not that they are an unduly burdensome set of rules and standards and compliance mechanisms. The regulatory framework is incomplete and inadequate to managing the significant risks likely involved. The issue here is certainly not excessive red tape. On a number of critical issues and policy objectives, the draft regulations lack sufficient safeguards to monitor and enforce the provision of medical assistance in dying across Canada. On monitoring, the draft regulations certainly require more red flags. The threats, harms and risks associated with this new regulatory regime need flagging and being brought to the attention of federal and provincial government decision-makers and to health care and social service practitioners for further action. The preamble to the legislation identifies three forms of risks to individuals and groups of people in Canadian society. First, errors and abuse in the provision of medical assistance in dying; second, encouraging negative perceptions of the quality of life of persons who are elderly, ill or disabled; and, third, vulnerable persons being induced, in moments of weakness, to end their lives. Three additional risks in seeking access to medical assistance in dying are the subject of further parliamentary review: the future possibility of legislating requests by mature minors, advance requests, and requests where mental illness is the sole underlying medical condition. Identifying these and other risks are the equivalent to waving red flags, warning signs that require close public attention and the need for new kinds of protections. Government assurances – to facilitate access to palliative and end-of-life care, care and services for individuals living with Alzheimer’s and dementia, and appropriate mental health supports and services -- fail to recognize directly and respond adequately to the risks and threats to youth and adults living with severe disabilities. The scope of threats and dangers to people with disabilities are multifaceted. They are legal and human rights issues as well as matters of public attitudes and material disadvantages; immediate risks and ongoing longer-term dangers; risks to individuals and to particular groups in the population. In determining eligibility for medical assistance in dying, a fundamental responsibility of policy makers and health practitioners is to understand the patient’s full circumstances of life and living conditions. Consider, from the 2012 Canadian Survey on Disability, the living conditions for the one million working age adults (aged 15 to 64) living with more severe disabilities. They tend to have multiple impairments and conditions, including mobility, pain-related, memory or learning disabilities and developmental disabilities. Across the country, working age adults with more severe disabilities live in households with significantly lower levels of income than people without disabilities. Straitened financial circumstances is a long-term existence for most. In terms of household living arrangements, adults with more severe disabilities are more likely than adults with milder disabilities and adults without disabilities to be living alone. Women with disabilities are more likely than their male counterparts to live alone. People with more severe disabilities are more likely than people without disabilities to live in older buildings, in housing in need of major repairs, in rental situations and in subsidized housing. These are harsh material realities, not only negative perceptions of the quality of life of persons who are disabled. Moreover, people with more severe disabilities are more likely to have needs for home support to go unmet. This includes unmet requirements for basic medical care, personal care and help with personal finances. Living alone means the absence of live-in caregivers. In addition, living in poverty limits the capacity to access paid assistance from care organizations. About 500,000 adults with more severe disabilities also face risks of going without aids and prescription medications they need because of the cost of necessary medications. Canadians with more severe disabilities face greater risks of lower income levels and poverty, of unmet support needs in the home for assistance with everyday activities, of loneliness and social isolation, and housing insecurity and inaccessibility. These are not just “diverse circumstances” in the living conditions of some Canadians. Rather, as available data plainly indicate, these are dire and precarious circumstances for people with disabilities rooted in social and economic causes of vulnerability, frailty and suffering. Monitoring matters because these systemic red flags underscore the profound dangers and threats to the lives of people with severe disabilities. Responsible monitoring of medical assistance with dying means the draft regulations must be amended to ensure that information about a person’s experiences of suffering include the social and economic realities of disadvantages and discrimination endured by so many disabled Canadians. Michael J. Prince is a political scientist, disability rights advocate, and public policy scholar. 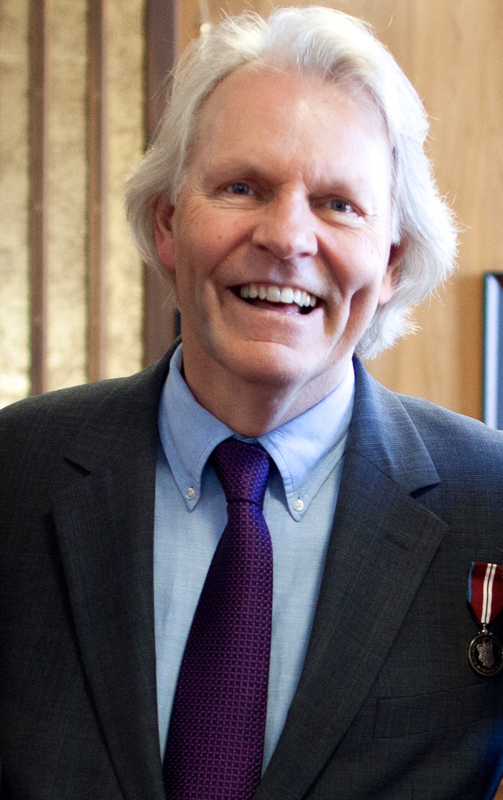 He holds the Lansdowne Chair in Social Policy at the University of Victoria.